Countywide: Various transit technologies are used throughout Arlington - at transit stations and bus stops, on buses, and through data-sharing via websites, mobile phone applications and real-time displays. 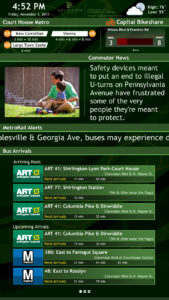 Arlington County’s Transit Intelligent Transportation Systems (ITS) and Security Program is dedicated to the installation and maintenance of technology to improve transit operations and rider information systems and to identify and mitigate agency security and safety issues. 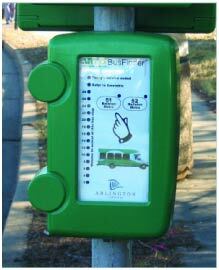 Arlington is committed to implementing technologies that make your transit trips faster, easier and more reliable. 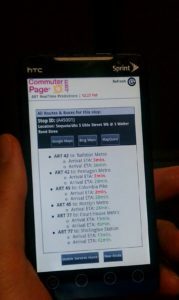 The County’s on-going initiatives focus on providing accurate and timely information to both operations staff and transit customers. 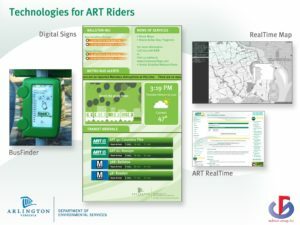 This program builds upon and expands technologies already in place as well as introduces new technologies recommended in the Transit ITS master plan. 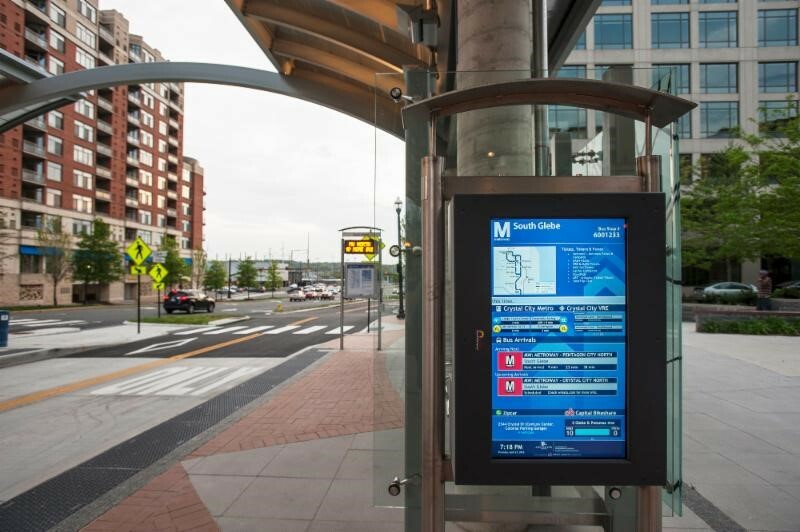 Real-time Delivery Preference Study – This study was conducted to fill the gap in recent market research on what Arlington transit riders want and expect in terms of real-time information delivery. 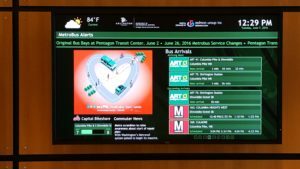 Installation of a real-time multimodal information display at the Arlington Mill Community Center. Conversion of electronic displays from scheduled arrival time to real-time arrival information at the South Bell Street bus bays adjacent to the Crystal City Metrorail station. 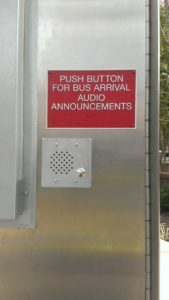 Addition of ADA-accessible speaker boxes at Crystal City and Rosslyn bus bays. Addition of two bus stops at Shirlington Bus Station with real-time information displays. 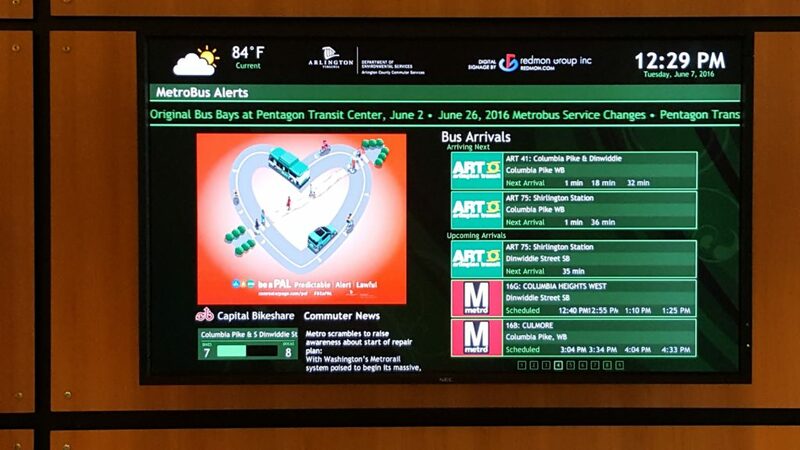 Installation of an array of large monitors at the Rosslyn Metro Station to display real-time arrival information for Metrorail, Metrobus, ART bus service, and other multimodal information. 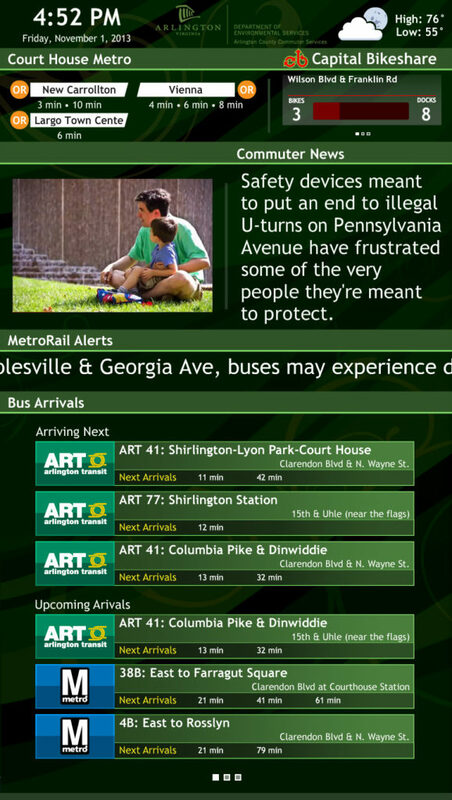 Installation of security systems at the new ART bus facility on South Eads Street. 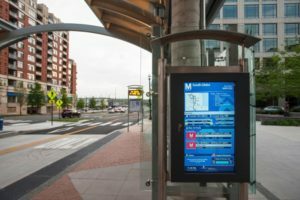 This project is included in Arlington County’s adopted FY 2017-2026 Capital Improvement Plan and is funded by a mix of state, regional and local sources.